Having grown up in the sixties, Mary Alberts finds particular joy in keeping alive the good vibe of one of her musical heroes, Mary Travers. You can hear and see the affinity between them in the contemporary Mary’s contributions to MacDougal Street West performances. A similar warmth of tone and personality with the original Mary helps listeners harken back to the halcyon days of the Peter, Paul, and Mary experience. In addition to Travers, she counts among her musical influences performers of the folk and folk rock genres, such as Joan Baez, Linda Ronstadt, the Seekers, the Byrds, and Crosby, Stills, Nash and Young. Like many of today’s top performers, Mary honed her musical gifts in church. 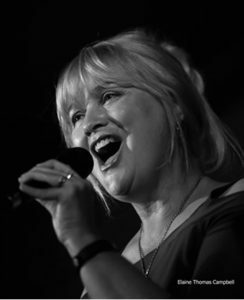 Her long apprenticeship in vocal groups ranging from traditional choirs to contemporary bands and as a soloist helped her forge a soulful sound in keeping with the best of the folk tradition. This current collaboration with fellow folk aficionados is an exciting stage in her evolution as a performer. In 1962, Peter, Paul and Mary’s first album was released. After the album , 11-year-old Rick asked if he could learn to play guitar and hasn’t stopped learning and playing. 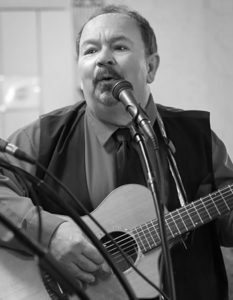 From Jr. High through college, Rick has been in groups that feature his favorite sounds: PPM, Kingston Trio, Beach Boys, Hollies, Buffalo Springfield and CSNY. 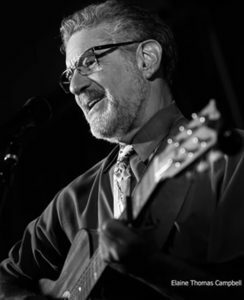 Excited for the opportunity to return to his musical roots, Rick loves to find the seemingly simple, yet deceptively complex harmonies of Peter, Paul and Mary so that their magical sound can be immediately felt and appreciated by audiences of MacDougal Street West. 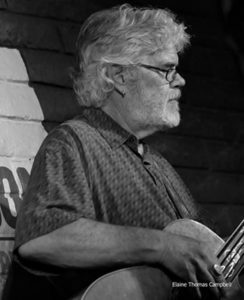 Hailing from Lancaster, California, Ron loved music performance from an early age. He has been singing and performing with his guitar since his high school days. Coupling with that, his experience of barbershop quartet harmonies has made Ron a polished group or solo performer. With his practiced ear for music and lyrics, Ron seems to have never forgotten a song that he has ever learned. His mental catalogue of music is extensive, entertaining and astounding! His deep baritone voice also compliments the members of his other band, a Kingston Trio tribute group, “In-Folk-Us”, where he sings most of the lead parts and plays his 12-string-guitar. A resident of the Prescott area, Ron’s face is familiar to many who live there as he has worked in each of the three post offices there over a 17 year period (no doubt humming while he worked). He is a high-energy performer and rounds out his shows with witty repartee and banter with his audiences. He makes every performance a party! Bill was born and raised in the “badlands” of eastern Montana, but headed south to Texas in ’76. He played in several bands in and around Austin for years, finally arriving in Prescott in 1999.